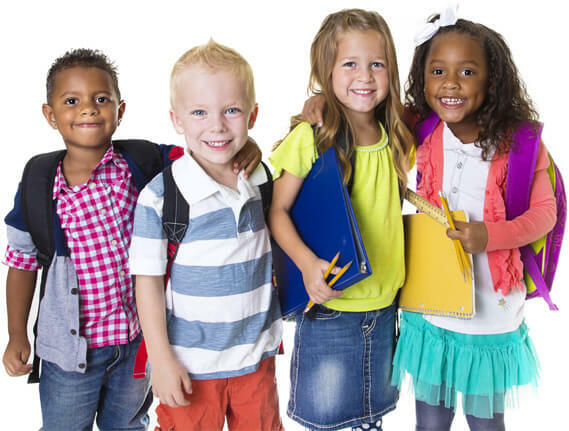 Your child is growing up fast and ready for a little more independence, pre-kindergarten class will help prepare them for elementary school. Our approach to learning and teaching is through child centered play and education. We have fully equipped classrooms for children ages 6 weeks through twelve years along with experienced, educated staff to guide them through their early learning years. While our day care program is geared to children 0-5 years of age, we also offer after school care for students of Colfax Elementary School. Every child is unique. They have different likes & dis-likes, they learn in different ways & at different rates. Knowing this, our teachers customize our curriculum to accommodate your child’s individual needs. We assess their progress throughout the year & adjust our program accordingly, thus helping your child meet their potential. At Bright Light Academy, we believe that children learn through play. As such, we try to incorporate fun into everything we do. Our hands-on, literacy-based curriculum engages every child. Our children experience learning through a variety of language, science, math, social studies & gross motor activities every day. Studies show that children are most creative when they are young & that creativity can help them become great problem solvers. This is why we are also big proponents of the arts & encourage exploration through music, art, dance & languages. At Bright Light Academy, we believe that high quality child care should be the standard, not the exception. Our mission is to provide a safe, healthy & stimulating environment for all of our children, encouraging growth & exploration through a variety of fun, educational experiences & activities. We believe that your child’s day care experience can set the stage for all of their future education & as such, want their early learning to be both positive & productive. In a world where families are pulled in so many different directions at once that our youngest children are often an afterthought. Where the “race to the top” often leaves those same children at the bottom of a “to do” list. Where it is easier to shut yourself off from our neighbors than getting to know them. Where family dinners have been replaced with take-out on the way to or from soccer, dance or baseball. Where more time is spent interfacing with a machine than with people & more & more environmental toxins are affecting both our short & long-term health. We at Bright Light Academy feel there is a need to get back to basics. The staff of Bright Light Academy are dedicated to providing each child with the best possible early learning experience so that they may meet their potential. Our staff believe that we never stop learning, so they continue their professional development through various programs, conferences & classes to keep current both in teaching techniques, child development topics & state regulations. All staff are experienced, loving care givers with all current clearances & are trained in First Aid & CPR. The classrooms are not all divided by age, but ability level. The Acorns, are 6 weeks until they are steadily walking. Our Seedlings are Toddlers until they are potty trained, our Preschoolers are potty-trained up to 4 years, our Pre-K is 4-5 year olds and School-Age is Kindergarten and up. The Acorns, are 6 weeks until they are 1 year old. Sprouts are Preschoolers (2 – 4 years old). Mighty Oaks are School-Age (Kindergarten and up). Our Seedlings are Toddlers until age three and potty trained. Saplings are Pre-K (Potty-trained & 4-5 years old). At Bright Light Academy, we believe that high quality child care should be the standard, not the exception. Our mission is to provide a safe, healthy & stimulating environment for all of our children, encouraging growth & exploration through a variety of fun, educational experiences & activities. Your child’s day care experience want their early learning to be both positive & productive. We strive to instill in our students the belief that everyone can make a difference, no matter how small. Education and development are important, but we know that nothing matters more than the safety, security and health of your child. That’s why protection and preparedness are critical considerations in everything we do at Bright Light Academy Child Care. While parents and guardians are welcome anytime to participate in our program for the safety of our children, we are a locked center. If we feel there is a need to discuss any aspect of your child’s development or happiness, you can be sure that we will contact you. Conversely, it is important that you should feel able to let us know if there is a situation at home that is likely to cause anxiety for your child. Our children’s health is a top priority at Bright Light. Our toys & equipment are sanitized daily (or more often if needed), we serve only healthy snacks & breakfast & incorporate exercise into our daily lessons.